Engaging students with document cameras is not difficult, but it does require a little imagination. With that in mind, the following ideas are designed to help you learn how to use classroom document cameras in unique and innovative ways at school. You might be surprised at just how versatile these great teaching tools really are! 1. Big Book – Every book is a big book with a document camera. Just place a book under the camera and you will have an instant magnification of text and images via the projector. Zoom in on images, or even words you want to discuss. Project the image onto a whiteboard and you can highlight or underline text by drawing on the board. 2. Show and Tell – When students bring in vacation souvenirs or pictures of their new puppy, the quickest and easiest way for the whole class to see them is to use classroom document cameras. There is no need to pass it around the class and risk it getting dropped or damaged. Now everyone is able to get a good close look. 3. Science Tool – Every Science teacher should know how to use a document camera. Use it to magnify bugs, examine rocks, or even look through a microscope. You will no longer always need a class set of objects because you can share them together on the big screen with your document camera. 4. Digital Camera – Your document camera can take pictures of anything you put underneath it. Simply press the camera button and it will save it to an SD memory card. Capture student work, science experiments or anything else you want to keep. Remove the SD card, plug it into the photo printer, and print your results for display, or download them to your computer and add them to class websites and student blogs. 5. A 21st Century OHP – A document camera functions like an overhead projector, except that anything you put under it will display on the wall. Why not project some graph paper onto a whiteboard for drawing graphs, put handwriting lines under it to write on a whiteboard, or put a student worksheet on the board and highlight the important areas. 6. Big Maps – If like me, you only have a pull down map of the USA, and wish that you also had a world map, or a regional map, then document cameras will be ideal for you. Put an atlas or textbook map under the camera and project it in large scale on to your whiteboard. From here you can annotate, highlight or zoom in on various talking points. 7. 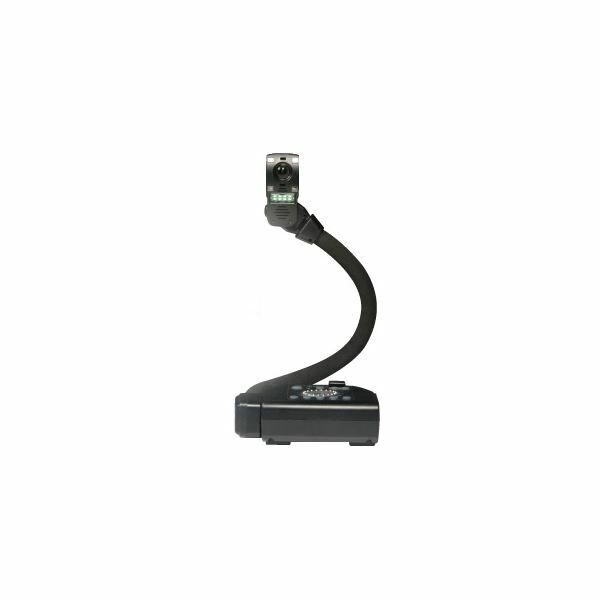 Time Lapse – Many classroom document cameras allow you to record time lapse photography. This means that you could set it to take a picture once every minute, hour, or even day to record the results of a Science investigation on plant growth, or for a Social Studies project on the weather. 8. Math Manipulatives – Teaching Math with your document camera is easy and fun to do. Show grouping, addition, subtracting and dividing with cubes under the camera. Use counters to show arrays, calculators to check answers, or zoom in on rulers to show the fractions of an inch. All your traditional Math tools can be viewed in detail with a document camera. 9. Fluency Models – Engaging students with a document camera needs nothing more than your class read aloud book. Photocopy sections of your class read aloud so that the students can view it as you read it. Be the best fluency model you can be by having the students follow along as you read. It may also keep them from doodling or playing in their desks, (or is that just my students?!). 10. Share Student Work – Celebrating student achievements is easy if you know how to use a document camera. Place assignments under the camera to show examples of good presentation, revised writing drafts, or the logic used to solve a math problem. Sharing has never been easier. If you project it onto a SMART board, or other interactive whiteboard, you will even be able to interact with it, and edit it in a non-destructive way. 11. Giant Timers – Personally, I like www.online-stopwatch.com, but if you already have the document camera out for another part of the lesson, why not use it to show students how long they have left for group or individual assignments. Place a digital timer under the camera, zoom in to your desired magnification, set the timer, and you instantly have a giant timer that you and the students can both use. Learning how to use a document camera for simple tasks like this can be as important as using it in more complex ways. 12. Video Projects – If you know how to use a document camera to record video, you can do fun projects like record a reader's theater rehearsal, and feedback with constructive criticism before the final performance. PE teachers can use it to video gymnastics and help students with their form, and Math teachers could even use it to record a student modeling how to solve an equation. Document cameras are an expensive initial outlay, but they will soon start saving you time and money on all kinds of other resources. For instance, you may find that you no longer need the expense of big books or wall maps. You will also save time sharing student work, and have the ability to use math manipulatives with a whole class group, instead of just small groups. But, ultimately, these are just some of the ways for engaging students with document cameras. The real truth is that you will soon stumble across more of your own as you get used to using one of these versatile devices and once you learn how to use a document camera creatively, you will wonder how you ever taught without one!